BU records: School of Nursing, 1900-2008, undated (#BU/154): Includes extensive department correspondence and administrative files as well as some photographic materials regarding the history, formation, and accreditation of the school. Most of the photographs in the School of Nursing collection are class photographs like the one shown here. Many of them include the names of faculty and students as well as the date and location of the photograph on the back. BU Records: School of Nursing, Accession #BU/154, Box 11 OVZ, Folder 2, The Texas Collection, Baylor University. Mike Cox papers, 1913-2014 (#3851): Papers contain information on the media relations of Texas Department of Public Safety, Texas Department of Transportation, and Texas Parks and Wildlife Department. Additionally, this collection consists of Mike Cox’s personal files and research on Henry Lee Lucas, the Texas Rangers, Texas history, and prominent leaders from Texas. Annual Santa Rosa Roundup, Vernon, Texas. [Vernon], 1949. 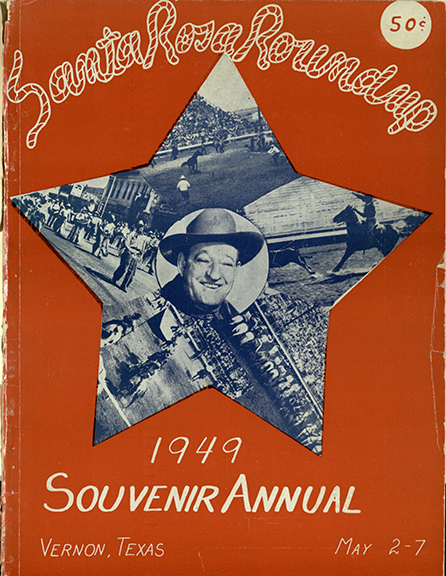 Filled with photographs, advertisements, and rodeo information, this beautiful and substantial souvenir album of the Santa Rosa Roundup and Rodeo offers an impressive look at the annual event. At the time of this publication, the event was only three years old. Today, the Santa Rosa Roundup enters its 70th year. McCarty, John L. Amarillo: Welcome Stranger. Amarillo: Chamber of Commerce, . Dallas: a Friendly City in a Friendly State. [Dallas]: [Dallas Chamber of Commerce], [1934?]. 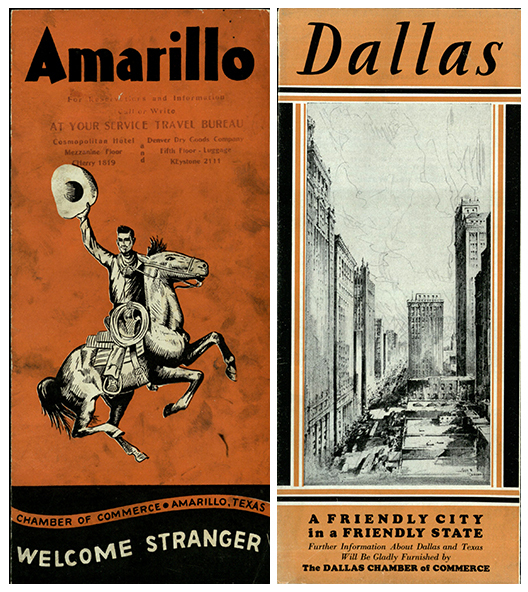 The Texas Collection is home to many Texas promotionals, publications printed to entice citizens to visit or relocate to the Lone Star State. Promotionals often touted the abundances that can be found: natural resources, employment, city attractions, educational opportunities, etc. D.M. Ferry & Co. D. M. Ferry & Co’s Universal Almanac and Annual Descriptive Catalogue of Garden and Flower Seeds. Detroit: D. M. Ferry & Co., 1896. The Ladies Birthday Almanac, for the Year … Chattanooga: Chattanooga Medicine Co., 1889. Capital Almanac Illustrated. J. S. McIntyre, 1890. These three volumes are a sampling of some of the late 19th and early 20th century almanacs in the collection. Though they aren’t about Texas, they do provide useful information about the time period in which each is published and also show the variety of almanacs available.